This month's My TBR List will be the June 2016 Reading Assignment edition--the three books selected to be voted on below are all from my 2016 Reading Assignment book list. I'm going to let go of my own reading schedule for the Reading Assignment this month and let everyone else choose one of my Reading Assignment books. I had already decided on two of them, the winning My TBRL book will be the third, and then the fourth may or may not be one of these three books as well... or I could decide otherwise and choose yet another book. We'll see where my reading mood takes me. There is no rhyme or reason to why these three books were chosen... except maybe that two of them have the word "Hanover" in it. Thanks to everyone for stopping by and voting! Also, I will be out of town next weekend and might not be able to post the winning book announcement next Saturday. The post will more than likely go up on Monday, unless I am able to pre-schedule it somehow. Thanks! Ooh, that's good to know! I DO like Brenda Novak, so I'm hoping I'll enjoy this one, too. Thanks for voting! 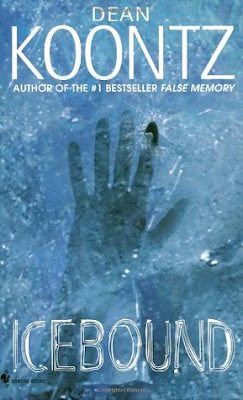 I voted for Icebound, it sounds creepy and like a fast-paced read. It does! I hope it's everything I love about Dean Koontz! Thanks for voting! lol I seem to be doing that for almost everyone else's TBR voting this month. Thanks for voting! 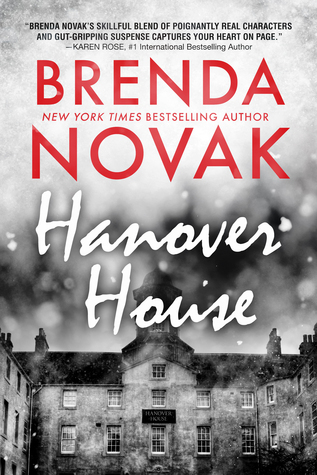 I voted for Hannover House by Brenda Novak as that's the only one of these three that I had heard of before. 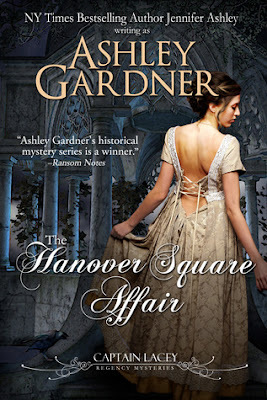 The Hanover Square Affair for me!